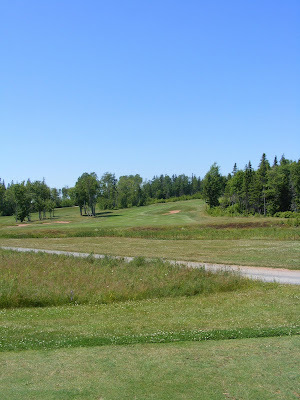 During my PEI vacation I got the chance to play Eagles View Golf Course. 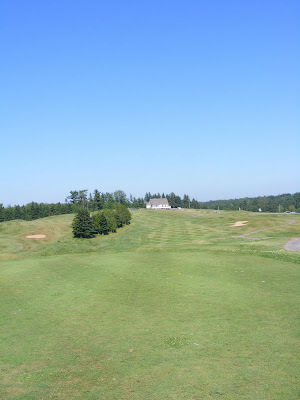 A great little 9 hole course on the Eastern part of the PEI. This course is like no other 9 hole course I’ve ever played. 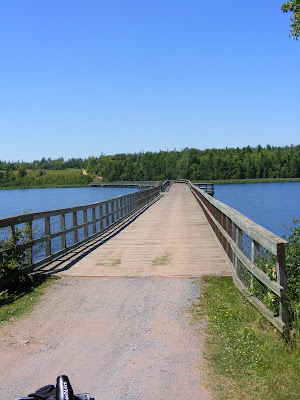 Spectacular views, elevation changes, challenging holes and a 1,000 foot wood bridge over MacLures Pond which connects the course are just a few things that make Eagles View Golf Course a gem of a course. The golf course is conveniently located 15 minutes from the Wood Islands Ferry, 30 minutes from the Rodd Brudenell River Resort and 45 minutes east of Charlottetown, P.E.I. Designed by Jeff Fuller, this par 36 golf course is nestled within the small scenic village of Murray River, Prince Edward Island, Canada. 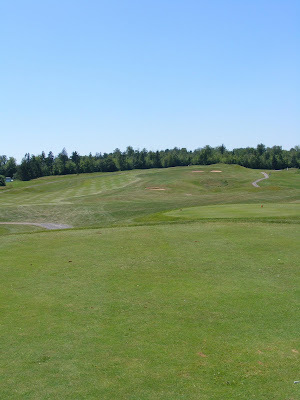 For a person who has never played Eagles View before what are the three most important things to expect from the course? 1) Although we are only 9 holes you can expect your game to be tested. We are a full length design. 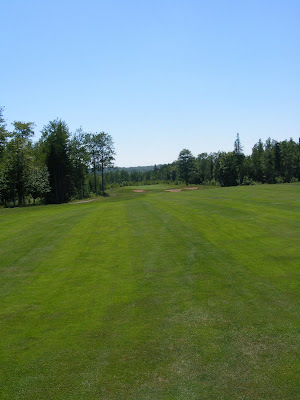 2) Great Conditions- We pride ourselves on being the best 9 hole golf club on PEI. 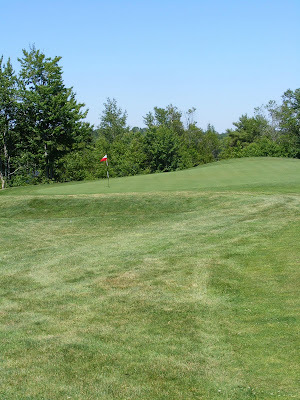 Our conditions are that of many 18 hole golf courses. 3) Spectacular scenery – From the drive across our fabulous bridge, to the view from the 6th green, and par 3 7th you will love the vistas our golf course offers throughout your round. My favorite hole is the 6th hole. Although not our signature hole, the view from the sixth green is remarkable. Favorite after round beverage after a day of golf? What’s the best after round local snack after a day of golf? The Eagles View Clubhouse is always a favorite. If you were to describe Eagles View Golf Course in one word what would that word be? We played from the middle tees which measure 3103 yds. A real tough opening par 4. Plays 382 yds. from the white tees but plays longer because its uphill as well as usually into a nice PEI wind. Watch the bunkers and fescue on your elevated tee shot. You have to be in the fairway for a good second shot into this green otherwise be careful of a big number on this 340 yd. par 4. A dogleg right par 5 not too long at 471 yds. but your drive has to be long enough to be able to see the hole and to be able to go for it in two. Uphill second shot as well. A real brute of a par playing at almost 600 yds. from the white tees. A good drive is needed on your slight uphill tee shot. Get a good 2nd shot and hopefully you’ll just have a wedge in. Par is great on this heavily bunkered green. A fun 343yd. straight away par 4. Trying to stay out of bunkers is tough on this one as they seem to be everywhere. Your second shot will be slightly uphill don’t go long here. A slight dogleg left avoid the bunkers on the right side and you might have a shot at birdie on this scenic par 4.
Who doesn’t like a short par 3 that’s downhill and plays real hard with the swirling PEI winds. Sign me up for #7 Eagle Views Signature Hole. 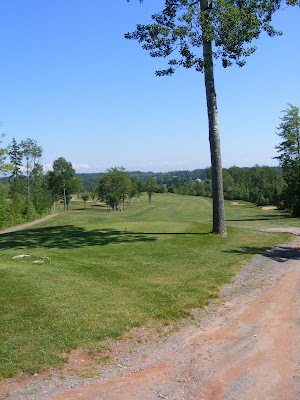 A really scenic finishing hole with great views of the surrounding area and clubhouse. With a good drive here you’ll only have wedge in hand. Can you say birdie? 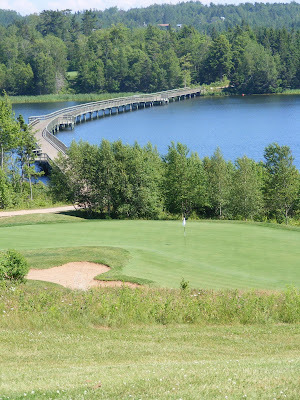 If your ever planning to golf in PEI take a couple hours out and try Eagles View you won’t be disappointed a great par 36 test of golf. 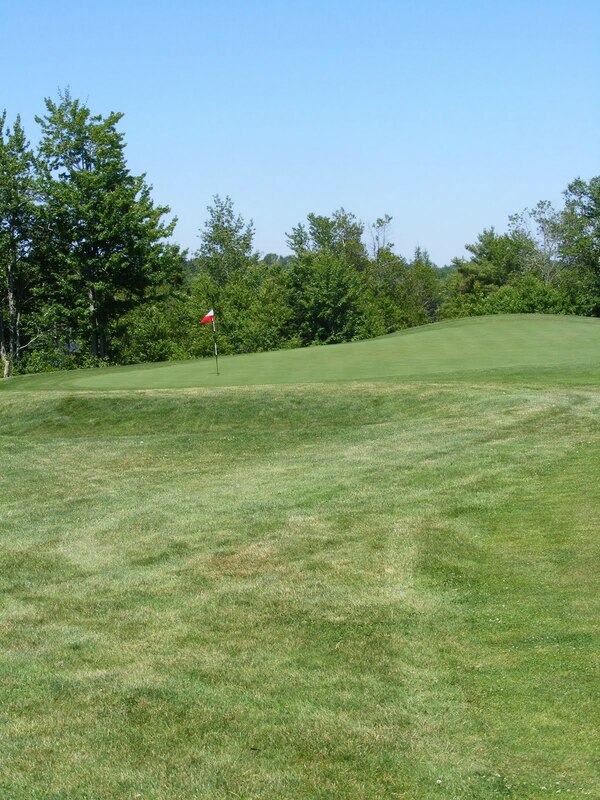 On a hot day I would definitely suggest a cart as it’s a pretty hilly course with a few long walks between holes. We played on a hot Summer day and were pretty tired after just 9 holes. So if your on vacation take it easy and take a cart you’ll enjoy yourself. I was there during July, so it’s considered peak time at Eagles View. It will cost you $21 to play 9 holes and $34 to play 18. They do have off peak/all day play rates as well as specials so be sure to check out their website.